Today, Ubisoft announced that Assassin’s Creed Rogue, an exciting new installment in the franchise currently in development for the Xbox 360 video game and entertainment system from Microsoft and the PlayStation3 computer entertainment system, will be available November 11 in North America. Assassin’s Creed Rogue is being developed by Ubisoft Sofia, in collaboration with Ubisoft’s Singapore, Montreal, Quebec, Chengdu, Milan and Bucharest studios. Set in the middle of the 18th century during the Seven Years War, Assassin’s Creed Rogue gives players new locations across North America to explore, including the frozen North Atlantic, the Appalachian River Valley and New York. 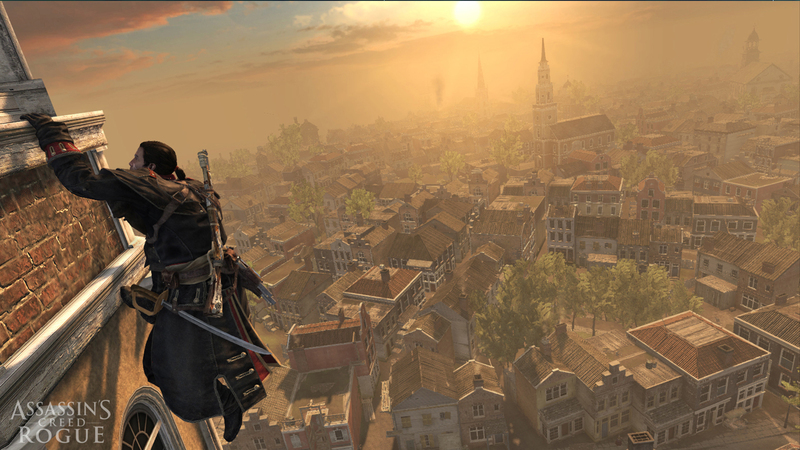 In Assassin’s Creed Rogue, players experience the Assassin’s Creed universe through the eyes of a Templar. As Shay Patrick Cormac, players suffer the brotherhood’s betrayal and transform into an Assassin hunter. The acclaimed naval components from previous Assassin’s Creed games have been enhanced in Assassin’s Creed Rogue. The game also gives players new weapons to use on both land and sea in pursuit of taking down the Assassins, including a new ship called the Morrigan. Limited edition short from Ubisoft San Francisco to benefit fire victims.